In the past several decades, biotechnology has brought us staggering breakthroughs that have changed our lives for the better. From low cost insulin, to personalized genetic testing, to bioluminescent transgenic fish, the advances made in biotechnology have brought an enormous amount of possibilities for the future. It’s no surprise that these technological developments have found their way into our food and will continue to shape the future of food. While legislation and regulations over GMOs and bioengineered additives are still being worked out throughout the world, these products and companies are important examples of how these technologies can make an impact on how we eat. The Flavr Savr tomato was the first genetically modified organism (GMO) product to be approved by the FDA for commercialization. In 1994, scientists at the Calgene company were able to inhibit the ripening process by interfering with the natural softening of the tomato. Using an antisense gene to block the production of an enzyme involved in cell wall breakdown, they were able to grow tomatoes with much longer shelf-lives than the traditional types on the market. While Flavr Savr tomatoes initially flew off the grocery shelves, a variety of challenges, including public backlash against the use of genetic engineering in food, resulted in poor market performance. The Calgene company was eventually acquired by Monsanto and the Flavr Savr tomato shelved away. The early 1990s also saw the development of golden rice, a genetically-enhanced rice used to address the growing challenge of vitamin A deficiency in the diets of the 140 million children affected by malnutrition. Normal cultivars of rice have the ability to synthesize the beta carotene, a precursor to vitamin A, in its leaves but those genes aren’t naturally expressed in the rice grain itself. 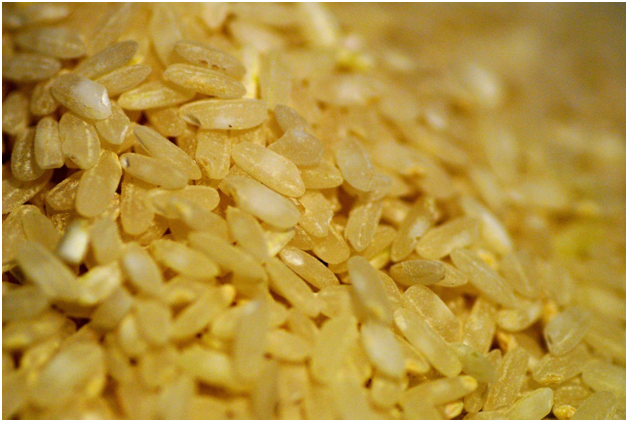 By introducing three biosynthesis genes into the rice plant that allow it to synthesize beta-carotene in the edible endosperm, a biofortified rice with a golden hue was created. In 2005, a research team at Syngenta released a high-yielding golden rice strain containing 23 times more beta-carotene than the first golden rice variant. The same method has been used to transform other staple crops including bananas and sorghum. While golden rice still has yet to see full deployment in any country due to limited evidence of bioefficacy in undernourished children, biosafety permits were recently applied for by the International Rice Research Institute in early 2017 to continue conducting studies on golden rice for use in the Philippines. Vanillin, the main chemical responsible for the aroma of vanilla, has been an important commodity flavor for more than a century. Traditionally produced from petrochemical feedstocks or wood pulp byproducts, the majority of vanilla flavorings used in food are made synthetically because of the high costs and volatile supply associated with natural vanilla produced from seed pods. In 2011, Swiss company Evolva partnered with International Flavors and Fragrances to develop a way to produce the flavor molecule through fermentation by biohacking the genome of baker’s yeast and forcing the microbe to churn out vanillin using readily-available sugars as its main food source. While the process is still by no means cheap, the vanillin produced can labeled as natural because it’s not synthesized directly from chemicals, and can be sustainably manufactured at large scale. Stanford professor Dr. Patrick Brown saw an opportunity to revolutionize the food industry by introducing tasty mimics of meat products made entirely from sustainable plant materials. After discovering that the flavor of blood, an important component of meat flavor missing in most vegetarian meat substitutes, could be replicated using an iron-containing heme protein found in soybeans, he founded Impossible Foods in 2011 to commercialize alternative meat products with true meat-like flavor. The heme protein, known as leghemoglobin, is structurally related to the hemoglobin found in human and animal blood cells. He and his fledgling team realized extraction of leghemoglobin would be commercially impossible because of the low concentrations naturally found in soybean roots. However, the blood-flavored mimic could be grown in fermentation vats by incorporating the synthesis genes in yeasts, which has allowed the company to successfully scale up their production processes. While Impossible Foods marches on to replace burgers across the country with their plant-based patties, one restaurant at a time, these transgenic yeasts will continue to be an important source of their ‘secret sauce’. CRISPR is the hot new gene-editing breakthrough used around the world in academic and industrial research circles alike. 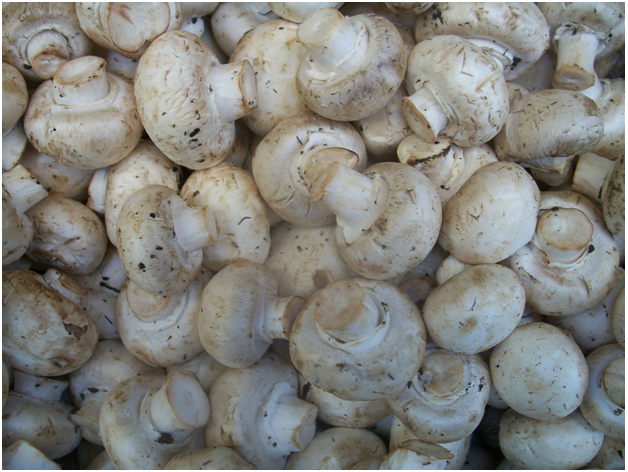 Recently, CRISPR technology was used by researchers at Pennsylvania State University to modify the genes responsible for browning in white button mushrooms. 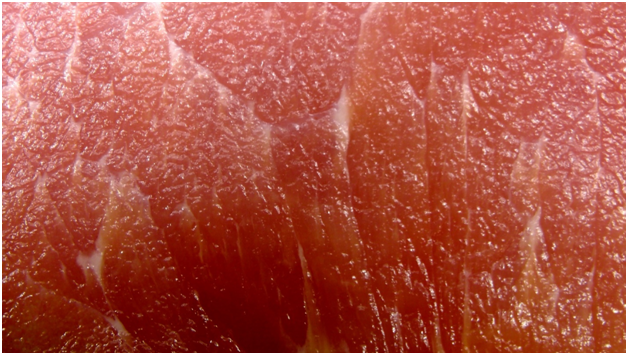 In a wild type mushroom, the polyphenol oxidase (PPO) enzyme causes browning when cut and bruised tissue are exposed to air, leading to an off-putting appearance. But the CRISPR method can delete specific genes that code for the synthesis of PPO and reduce browning in the altered white button mushrooms by 30%. Because using CRISPR doesn’t produce an organism containing foreign DNA, the mushrooms were able to side-step typical regulations reserved for GMO by the USDA. As such, this method opens up endless possibilities in gene-editing for plant foods without the same restrictions enforced on other GMO products. Also known as “The Organism Company”, Ginkgo Bioworks is a Boston-based startup paving new ground in the growing field of food biotech. They have set out to produce important commodity chemicals used for flavors, foods, and fragrances through the process of fermentation. By constructing designer yeasts through a combination of genetic engineering and robotic automation, the Ginkgo Bioworks team are able to create and screen through thousands of genetically-modified microbes, then select the high-yielding candidates to produce flavorings at commercial scale. Again, unlike synthetic flavors produced from petrochemicals, flavor compounds made from genetically-altered yeasts can be labeled as natural, which allows flavor companies to offer natural flavor products at a fraction of the cost compared to those extracted from crops. The company is currently in partnership with major flavor companies Kerry, Robertet, Amyris, and Ajinomoto to continue development of natural flavors. Synthetic biology isn’t just for flavors and additives. The members of New Harvest dream of manufacturing completely sustainable meat products using only cells cultured in a petri dish, and shepherd in the field of cellular agriculture. Using the same technology to grow tissues and organs for biomedical purposes, the New Harvest team are working on developing methods to culture animal cells into edible meat for human consumption. Through partnerships with academic groups around the world, New Harvest is supporting research on a range of products, including beef, chicken, turkey, milk, eggs, and pork. While some of these food materials have been successfully grown in a lab-scale petri dish, the major challenge ahead is replacing the expensive growth medium used in the current processes with cheaper, more sustainable alternatives. Food scientists at University of Wisconsin-Madison showed they could deliver CRISPR through food products to instruct antibiotic-resistant bacteria to die. Treatment-resistant Clostridium difficile is responsible for a type of fatal intestinal infection that can rapidly spread in hospital and clinical environments. Using a common bacterial probiotic as a living delivery device in pill form, the van Pijkeren lab is developing a virus that selectively infects C. difficile with a CRISPR message that causes enzymatic cuts in the bacterial genome. These slices in the DNA result in the death of the bacteria. The advantage of the probiotic over conventional antibiotics is its selective ability to kill only this one type of bacteria, leaving beneficial bacteria intact in their human host to continue serving as an immune barrier against other infectious bacteria. While still in its early stages, the technology shows promise as a potential tool in the growing arsenal against drug-resistant infections that continue to stress the resources of the medical community. 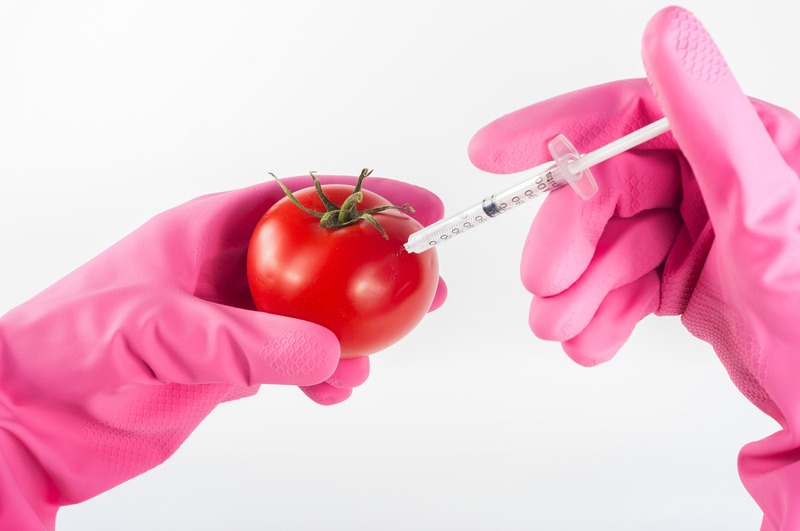 While controversy still exists regarding the ultimate benefit of genetic modification technology in the long-term, with safety concerns around its effect on crop biodiversity, biosynthesis of allergenic side-products, and antibiotic-resistance gene transfer to harmful microorganisms, it is clear biotechnology will continue to be a powerful tool that shapes our food and health into the far future. Bryan Le is a food scientist based in the US, and helps food startups and entrepreneurs develop shelf-ready products. Consult him here.